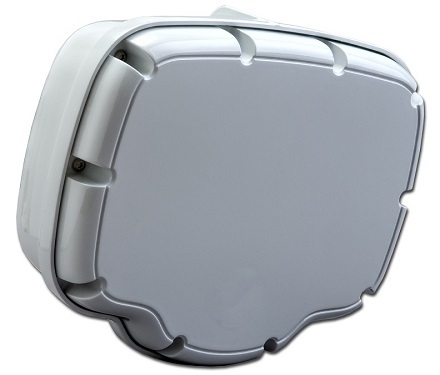 The RTMS SX-300 by Image Sensing Systems an advanced radar-based roadside sensor for detecting and measuring the traffic. The ideal maintenance-free, non-intrusive sensor for getting exact volume, classification, speed and occupancy in up to 12 lanes of traffic from the side of the road. The small, sleek design allows quick mounting on poles, making it very suitable for both urban environment and interurban environments. The SX-300 has a lane-detection wizard for minimizing configuration time. The sensor combines maximum robustness for roadside operation with optimal performance through high resolution data capture. The DeepBlue Sensor R-model serves as a roadside router for the RTMS. The DeepBlue Sensor polls traffic data directly from the RTMS through a serial connection, stores it on the onboard database, and compresses and sends the interval data to a centralized server of choice. The DeepBlue Sensor is actively controlling the transmission, thus taking a great load away from the centralized server. This allows simplifying the network requirements, and improving the reliability of the transmission. The sensor can work with FTP, SSH and TCP Socket.